Since the Xbox One has launched, new owners have reported finding discs like the one shown above within their brand new consoles. While most have reported them as being green discs, a few were reported as being blue. Many people were told it was a testing disc for quality assurance before Microsoft's Xbox One products leave the factory when inquiring Microsoft. Oddly enough though these mysterious discs were all Xbox 360 discs. This raised many questions. I have been lucky enough to have gotten my hands on one of these discs. While most people who have them received them accidentally from Microsoft, I was not one of those people. I bought mine from someone who was lucky enough to have gotten one. When I received the disc off a Ebay sale, I immediately popped it into my retail Xbox 360 Slim. The disc came up as a "mixed media disc", which seemed odd since it seems to be a retail disc. I was able to see some JPEG files under system viewer for pictures. A few audio clips could be found under system player, however they were nothing more than a few sound effects. As more searching was completed, it become more and more likely that there was nothing special on the disc and the mystery eventually got old. No one has spoken about it since. Recently I was testing a newly purchased console in my ever growing collection when I went for a game to test it with in a pile of discs. I then found my MTE disc hidden in the pile. I put it aside for the time being. While I was testing the console I had been working, on I started thinking about the MTE disc again. Back when I had purchased it, I had tried it in my PC. It couldn't read the disc as it wouldn't see a readable disc. My XDK (Xbox Development Kit) would not read it either. So I thought about it while I continued testing my console. Why not use an RGH retail console? I stopped what I was doing and connected my RGH to my PC and began running Xbox Neighborhood. Lo and behold, the disc in it's entirety was now viewable on my PC. What I found was nothing short of amazing. With in these files I found plenty more pictures of random development teams, including early Xbox Original pictures in testing labs, early pictures including Larry Hyrb and Bill Gates, factories and distribution pictures from China and much much more. The audio files included a podcast from 2005 as well as non-licensed music files. Deep into the files I found white-noise files and other loud sound bytes possibly for further testing. I found game files such as map packs and sprite files. 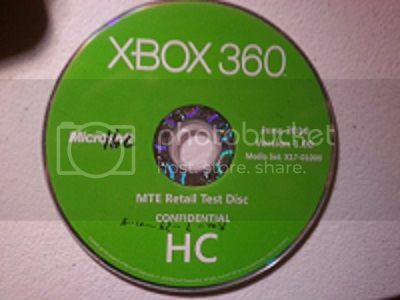 "I know what this is.. It’s used in every Xbox beforehand deployment to avoid selling bricks. It goes through phases of gfx and CPU stress testing . The software measures inconsistencies in temps and reports back to a tool connected to the Xbox via USB . Source: I have a friend of a friend who works in testing cred. In msft"
After dumping the disc and finding no XEX, this statement starts to make a lot of sense. There are many game files, but without the executable files (xex) they don't do anything. So what does this mean? My theory is this "USB Tool" the Reddit member refers to would be where the XEX files are kept so the general public can't use the disc outside the testing environment. The tool could be plugged into the console while the MTE disc is in the tray as it boots the testing files. Afterward the disc and tools are removed and the console moves down the line for packaging. But if that is true, that just raises more questions Which brings me back to the main question and the point of this article. Is the Xbox One backward secretly compatible with Xbox 360 discs? It doesn't seem far fetched after seeing everything this secret little disc had to offer. 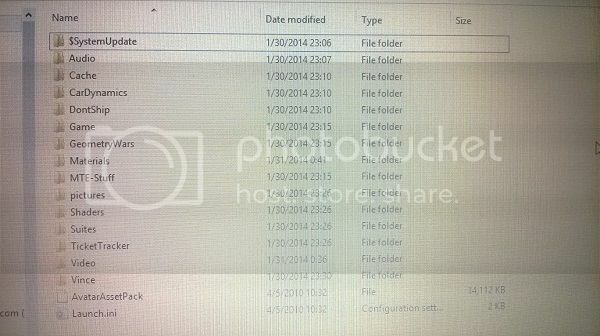 If that is the case, wouldn't the Xbox One need to be able to read these XEX files? Perhaps it's something that was/is being tested? Perhaps the Xbox One and it's own executable programs can use similarly built Xbox 360 game files? My own theory is that the Xbox One will eventually be backwards compatible. I theorize that within the next 2 years when the sales finally drop from the 360, an app based 360 emulator will be introduced onto the Xbox Marketplace for users to download to their Xbox One consoles and thereafter use their old 360 discs. Seeing as the Blu-Ray discs can't be played without a Blu-Ray app, it's not a completely alien theory. But it's still only a theory. Only time will tell if Microsoft will commit to something like that.